If your organization is still relying on an on-premises private branch exchange (PBX) system or plain old telephones, it may be time to unlock the benefits of voice-over-IP (VoIP) telephony through a cloud vendor. Hosted PBX is often regarded as a path to rapidly saving money on business communications. Research reveals that organizations save an average of 40% on local calls alone. For one small business with 30 phone lines, this translated to a savings of $1,200 per month. Hosted PBX is a cloud-based phone system where a vendor houses the equipment necessary for the IP-PBX and the technology used to provide voice communications for your organization. At your office, phone calls using your desk phones or softphones will be transported through your switch or router. Hosted PBX is generally billed at a flat, monthly rate based on the number of users and add-on features at your organization. Hosted PBX also helps make your IT workload easier by allowing you to outsource voice communications maintenance, setup, and upgrades. The benefits of hosted PBX vs. alternative forms of business phone lines can extend throughout your business, allowing your customer-facing employees to provide better client experiences and positioning your organization for competitive advantage. Keep reading to learn how hosted PBX changed everything for one tech company and six ways you may stand to benefit. 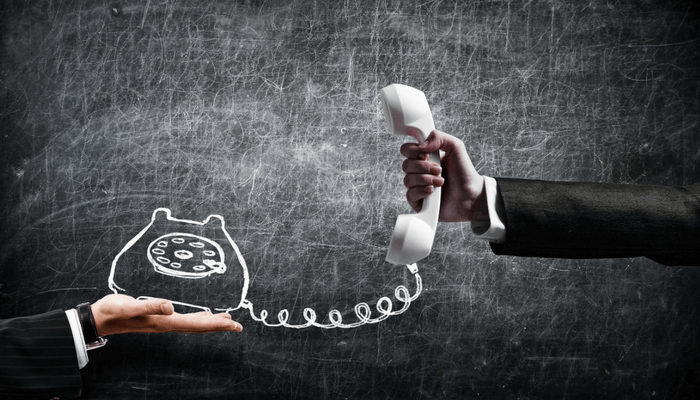 Is PBX Hosting Right for Your Business? 9 Ways to Know for Sure. Loyal3 is a social technology app that helps investors get started buying stocks with minimal cash up front and no fees. Before implementing cloud-based PBX technology and Unified Communications tools via the BroadSoft platform, Loyal3 was struggling to provide a consistent customer experience. Katrina Peck, VP of Broker Dealer Operations at Loyal3, states they were using a separate phone system and customer relationship management (CRM) tool to manage chat and email. Inbound calls often resulted in inefficient, time-consuming transfers to customer service agents. Peck acknowledges that without hosted PBX, Loyal3 would still be struggling with handling thousands of customer inquiries manually, and performing repeated transfers on many inbound client calls. With the help of hosted PBX and other cloud-based communications tools, Loyal3's CSRs can work smarter on providing best-of-class customer experiences instead of juggling multiple platforms for communications. Perhaps you're aware of the technological benefits of hosted PBX or that switching to VoIP can enable your organization to adopt Unified Communications tools, a suite of cloud-based, enterprise-class communications options that can include fiber-optic internet connectivity, data, and on-demand access to features like instant messaging, presence, and HD conferencing. However, how can hosted PBX potentially benefit the rest of your business, beyond accounting and IT? Investing in IP-based telephony and outsourcing your communications to a trusted third-party provider can offer significant benefits against the status quo, or continuing your partnership with your local plain old telephones (POTs) provider. From a purely business strategy perspective, there are a number of ways where there's likely an advantage in choosing hosted PBX over different types of business class phone service. The more varied your organization's voice communications needs, the more you can benefit from the simplicity of hosted PBX. This technology enables organizations to bring all of their organization's locations and phone lines together for centralized management. This includes your on-site desk phones (or soft phones), company or employee-owned mobile devices, contact center phone lines, and your conferencing lines. Cloud-based communications products like Hub by Broadsoft, a cloud-based mobile application can also make communications much simpler for your organization's end users. With built-in mobility, your employees at any of your locations worldwide can seamlessly switch between their desk phones and mobile devices. On mobile devices, Hub enables hosted PBX users who have adopted other communications tools to integrate data in a single mobile app with insights from Salesforce, Google Drive, and other common tools. This allows your employees to access emails, files, chat history, and customer data from a single app, and perform common tasks like browsing emails from a centralized inbox. Today's organizations need agility in communications. Hosted PBX and Unified Communications tools allow organizations to pay for only the services they need, and quickly scale their contracts according to their specific needs. With plain old telephones or on-premises based PBX, your organization's ability to scale can be dependent on scheduling a costly site visit from a technician. Moving phone lines is difficult. If you face a weather event or other issue that could cause copper phone lines to go down, your organization may not have the flexibility to continue communication with customers except through employee mobile devices. In contrast, hosted PBX can lend flexibility to every stage, from adoption to your ongoing use of add-on features and other Unified Communications tools. Since softphones are connected via broadband, it's easy to move phone lines. It takes minutes and an available handset to add a new phone line to accommodate a new hire. With a direct connection to the cloud, your organization can gain near-unlimited access to some of the world's most sophisticated communication tools on demand. Unlike some other technologies, hosted PBX is a relatively low-risk investment. IP-based telephony is a proven investment with demonstrated benefits to organizations of all sizes. With the help of an experienced vendor using a proven technology platform for delivering IP-based phone services, your organization can unlock up to 99.99% uptime through a service level agreement (SLA). 99.52% of organizations who adopted VoIP in one long-term study were satisfied with call quality (207 out of 208 organizations surveyed). 17 % of organizations choose VoIP because traditional phone systems are too unreliable. 77% of organizations evaluating VoIP options choose a hosted solution for simplicity and cost savings. Traditional phone systems and on-premises PBX are scalable, but expansion isn't always fast or cheap. On-premises IP phone technology requires your organization to hire staff or a third-party technician for servicing, which can be complex and costly in some circumstances. If your premise-based IP manufacturer stops making your equipment, you're forced to continue with minimal support or replace your equipment. While your organization can still adopt cloud-based communications and collaboration apps, you won't achieve the same transparency and simplicity benefits of true Unified Communications through a single vendor. Regardless of how many sites your organization has or how quickly you're growing, hosted PBX is globally scalable while allowing your organization to continue centrally managing your technologies. With a provider who offers 24/7/365 customer service, you'll retain the ability to manage your lines and features whenever needed, not when a technician can be scheduled. Hosted PBX can act as a starting point for taking your communications strategy global and allow you to gain significant efficiency along the way. For digital home entertainment provider TiVo®, global expansion of customer service was expensive and inflexible using either traditional phone lines or on-premises technology. With BroadSoft CC-One, TiVo®seamlessly integrated multiple global call centers and added the necessary features to offer self-service options and interactive voice recognition (IVR) to their clients. After adopting hosted PBX and other communications tools, TiVo® not only achieved the right baseline to continue growing globally, they also reduced their average call handling time by 10 seconds. To learn how another multi-location organization solved their scalability challenges with hosted PBX, we recommend Montgomery College Moves To Connected Campus With Atlantech Online UCaaS Offering Powered By BroadSoft. For many organizations, going with an exclusively IP-based phone system isn't realistic. While the majority of phone lines can and should be taken to the cloud, many companies find they need to continue using certain analog-based devices, such as a fax machine. Integrating multiple types of phone systems can be costly and difficult for many organizations. The right hosted PBX deployment will enable organizations to achieve hybrid communications and realize the value of analog-based devices, while also reaping the benefits of internet-based communications for the majority of their voice needs. For Montgomery College, migrating multiple campuses to hosted PBX and other Unified Communications tools required several days of fully hybrid communications--a solution that may be ideal for many multi-site or complex organizations. From the first day of your implementation, a hosted PBX vendor can support your need for interoperability, allowing you to use legacy equipment alongside your new cloud-based phones. You can benefit from your vendor's remote management, and access new communication tools and features on-demand without having to invest in costly hardware or implementation processes. The interoperability benefits of hosted PBX are not limited to using a hybrid approach to your voice communications, either. Phone service delivered over the BroadSoft platform, your organization can integrate your voice communications with existing apps and services, as well as tools you adopt in the future. Built-in options for interoperability with Broadsoft include Google, Microsoft, Salesforce, Dropbox, Twitter and more. While mobile devices aren't yet the most popular or common tool for business, they're becoming a common way that today's professionals work from the office, home, or any other location around the world. Broadsoft research reveals that 50% of today's professionals use their mobile device as a primary device for work, while 80% communicate via SMS (text) messaging. 59% of today's talent rely on a mobile device for using work-related apps. Regardless of whether your organization supports bring-your-own-device (BYOD) or provides employees with company-issued smartphones, hosted PBX can be a powerful tool for achieving instant mobility. Research reveals that today's employees don't expect a mobile-friendly workplace. They expect an organization that supports their preference to work "mobile-first," or retain continuous connectivity and use their smartphone as a hub for work. By selecting a hosted PBX solution that's mobile-first, like BroadSoft's UC-One Connect, your organization can support your employee's preference for mobile-based work through the same phone line as their on-site softphone. UC-One Connect offers mobile-based messaging which can support the total integration of chat messages, allow users to set preferences for call forwarding, and offer presence for internal collaboration. Your internal phone directory can even be accessed through UC-One Connect, which also supports easy internal call transfers via employee extension. While it remains to be seen whether mobile devices will truly kill the desktop as the primary mode of getting work done, it's clear that mobile is important. Hosted PBX supports instant mobility, allowing your employees to take their office number with them anywhere in the globe. With additional communications features, they can also access the chat messages, customer data, and files they need on the go. Today's organizations don't have the time or budget to deal with phone systems that are complex or can't be easily integrated with apps. Phones and fax machines still play an important role in business communications, but they're not the only tools necessary for effective collaboration between employees and clients. Hosted PBX can offer a range of business benefits that extend well beyond the demonstrated potential for cost savings and the simplicity of outsourcing your phone system management. Your organization can move towards adopting truly flexible cloud-based Unified Communications tools while reaping rewards of flexibility, scalability, mobility, and more. No two organizations communication needs are the same. Atlantech Online is a leading provider of Cloud-based Unified Communications services for organizations of all sizes, including hosted PBX delivered via BroadSoft's mobile-first platform. 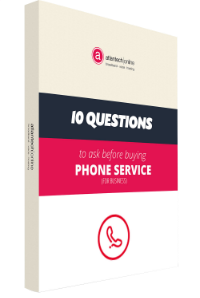 To learn whether hosted PBX is right for you and how much you could stand to benefit from making the switch, contact an Atlantech Online representative today.